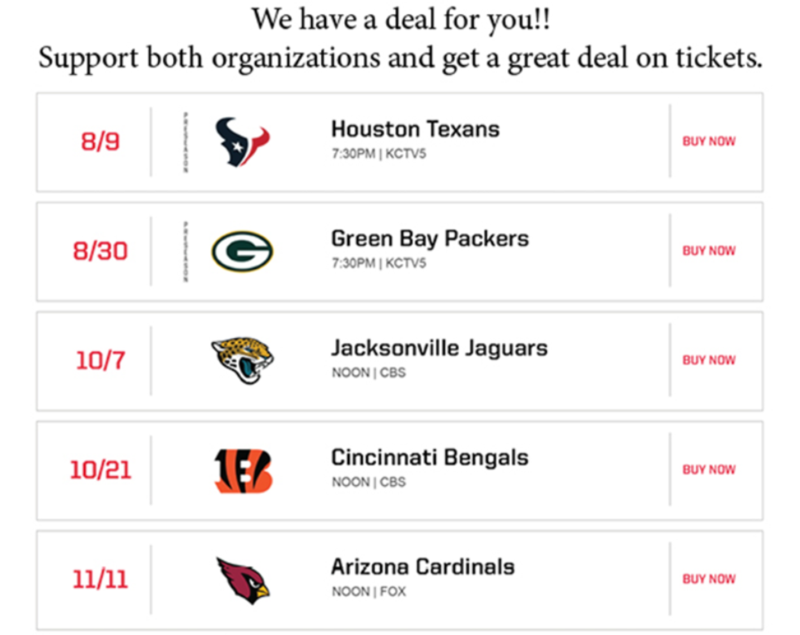 Individual $30 tickets are available for 5 Kansas City Chiefs home games. $10 of each ticket purchased will go to Matt Talbot when you use this link and use the promo code: KITCHEN. You can choose as many games and as many tickets as you like!